Sim Technologies Private Limited is a well recognized company in the domestic markets. Supported by talented professionals, we are employed in offering solution based Engineering Solutions, Electronic Design Services, 3D Modeling Services, etc. Our services are well accepted by clients across the country for faster result, timely delivery, customization, value added designs, affordable prices and reliability. Star Landscape's Staff of professionally trained landscaping maintenance experts have developed a proactive approach to keeping landscapes beautiful and healthy all year long, enabling us to provide the highest quality professional landscape maintenance available in the area. From the initial phone call, through development of a customized landscape maintenance program, to quality assurance follow up visits, our exceptionally skilled staff will work with you to create the perfect All Season Landscaping Maintenance Program for your property and your lifestyle. Our service range includes a wide range of Landscape With Pebbles, Ficus Microcarpa, Ficus Microcarpa S Shape and Fiberglass Planter. 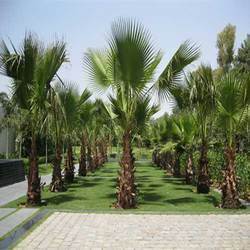 Offering you a complete choice of services which include Date Palm Trees and Imported Plants. 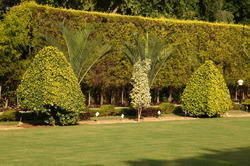 We offer a proven track record of creative, quality landscape design. 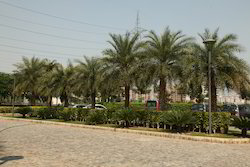 Our fabulous work has enabled us to fetch several works in landscaping design and have paved the way to establishing Landscapes as the premier Landscaping Design & Landscape Development Company in India. Farm owners who have followed our landscape design/build approach find it, not only produces a better landscape environment, but are economical as well which suits their landscaping and development budget. Our landscape designers are constantly challenged to find something wonderful, new and different in their landscaping designs. Based on the rave reviews and mouth publicity that our organization receives, we are convinced they are more than meeting the challenge. Our emphasis is on constant landscape quality, but we also appreciate the colorful twist and turns that go along with creating a beautiful landscaping environment. Once you seek our landscaping services, we begin the process of determining your landscape needs. 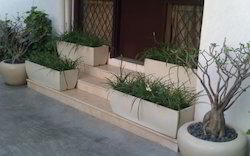 As your general landscaping needs are established an appointment for a landscape site consultation will be set with our landscape designer to meet you at your property. During the landscape site consultation we will discuss in detail how you want to use your outdoor space. If it is determined a comprehensive landscape design is needed, a design fee will be assessed for the specific area(s) of interest. Landscape design fees are based on the size of your project and the amount of detail required for the landscape design development. 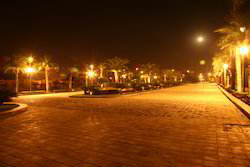 The landscape design procedure begins by measuring the site and taking digital photographs. A plan is required to determine property lines and to confirm existing features. Landscape design will be developed to scale, including existing features and will incorporate the concepts discussed during the landscaping site consultation. 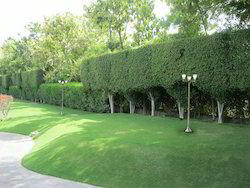 Greenstar Landscape Pvt. Ltd. is a name that has become synonymous with perfection. Our passion for providing residential as well as commercial landscaping has resulted in the beautification of several properties across India.